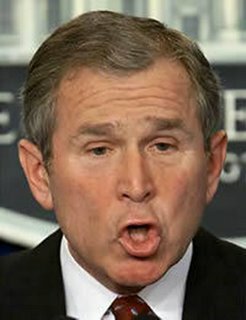 Stealing the 2000 Election and Cramming Idiot George W. Bush down our throats. Republican Congressmen “Just Say No” policy to everything President Obama proposed. This policy proved they cared more about making President Obama fail than the needs of the American people. Rush Limbaugh even said he wanted Obama to fail. This is UN-Patriotic and UN-American. Constantly making hateful, disrespectful comments about President Obama. This makes me DESPISE them. President Obama is the kindest and most humble President I have seen. He seems to care about the poor and middle class more than any other President I have seen. When Republicans make hateful comments about President Obama, they insult me and the Millions of people who voted for him. Being Beholden to Corporations, Big Business and Billionaires and not caring about the 97% Middle Class and the Poor. Their efforts to de-fund and eliminate the Affordable Healthcare Act when millions of Americans has no healthcare. Republicans has offered no alternative and does not seem to care about the millions of people who are uninsured. They don’t seem to care if having no healthcare causes people to go bankrupt if they face a major medical emergency. Republicans has changed so much and become so extreme that I will NEVER vote for another Republican for as long as I live.